The stories about high school football in Texas are (almost) all true. 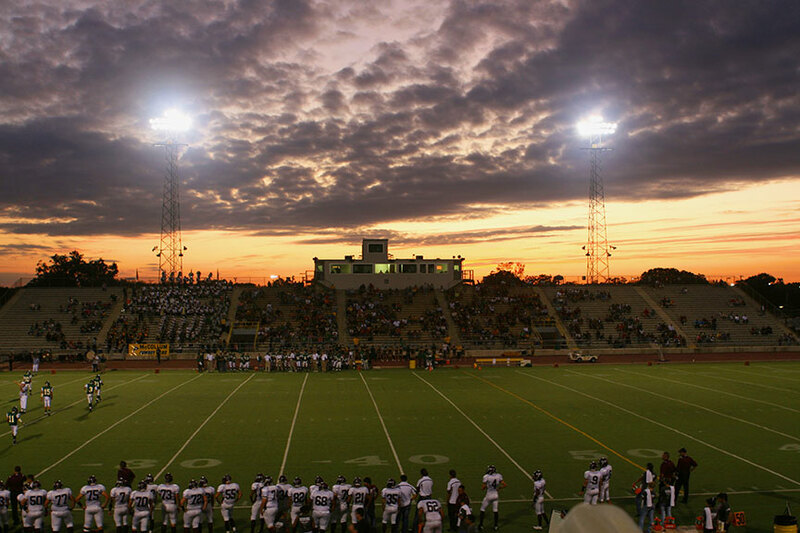 The Floresville Tigers football stadium photographed in Floresville, Texas. You can purchase this print and others at www.etsy.com/shop/paintsANDpaper?ref=si_shop.